Turkey Day is only a week away! 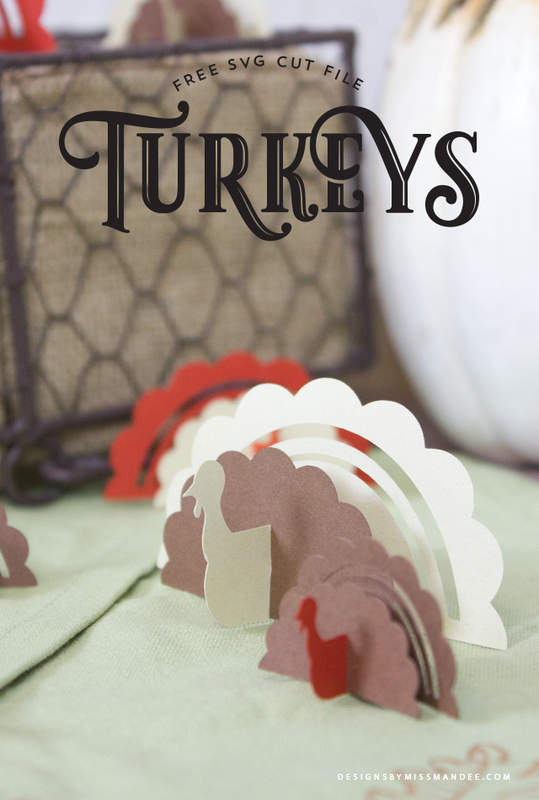 Whether you’re hosting the big family get-together, or just wanting to make some more fun, fall decorations for your home, these die cut turkeys are just what you need. 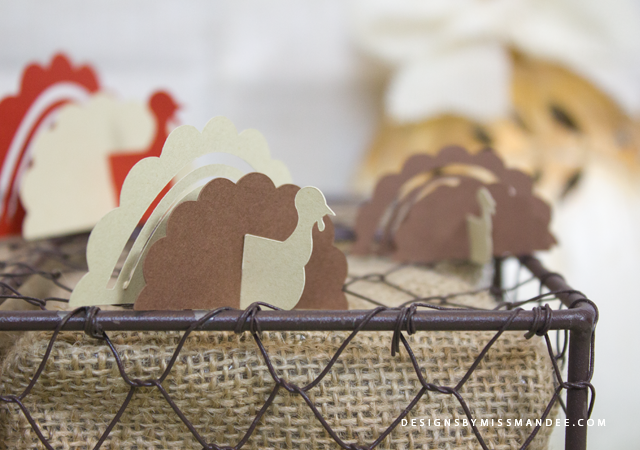 Use them to spruce up your Thanksgiving spread, or make them as a simple holiday craft for the little ones! The download includes both a PDF printable and SVG cut files (for cutting machines like Cricut or Silhouette). Note: When upload the SVG file to Cricut Design Space, be sure to “attach” all the layers before sending to cut. How you put these cute little gobblers together is up to you. I decided to mix and match my paper colors to give them some variety, but you can make them all one solid color if that’s your preference. Plus, like I mentioned, this could be a fun craft for the kiddos to get in on. Cut out the pieces, and let them decorate them with crayon, markers, or maybe even glue some real feathers on their tails! I’m so excited for Thanksgiving! It kind of snuck up on me this year, but I always look forward to spending time with my extended family. And I’m definitely looking forward to all the yummy desserts: pumpkin pie, cream cheese pumpkin rolls, pumpkin delight, pumpkin whoopee pies…basically anything and everything with the word “pumpkin” in it! If you’re looking for more, awesome DIY ideas for Thanksgiving, be sure to check out the pom pom turkeys I shared last year. 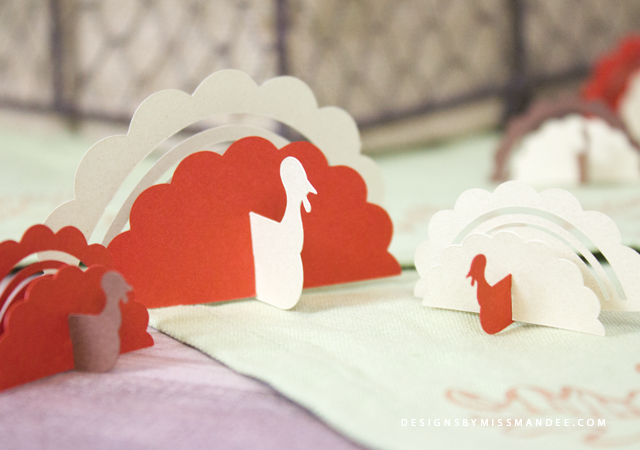 And check out these die cut Thanksgiving gratitude place cards as well. 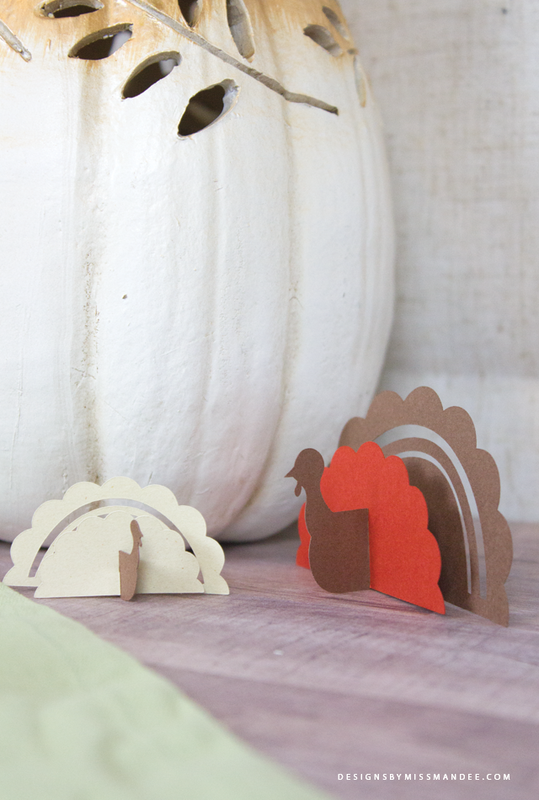 Have fun making these lovely little die cut turkeys! How do you plan on incorporating them into your Turkey Day celebrations? Your turkeys are adorable. They are exactly what I need for my Thanksgiving table. I plan to use them as place cards by adding a name to each one along the front tail. Your design is adorable! Thank you so much for sharing! How cute! That is going to be so fun—I’m sure your guests will love it!! Hi – would you mind sharingwhat font the word TURKEYS you used – if not I understand…..